Australian city Perth has been emerging as one of the country’s hottest spots for modern and urban art, hosting works from renowned artists like Banksy and Blek le Rat over the past months. 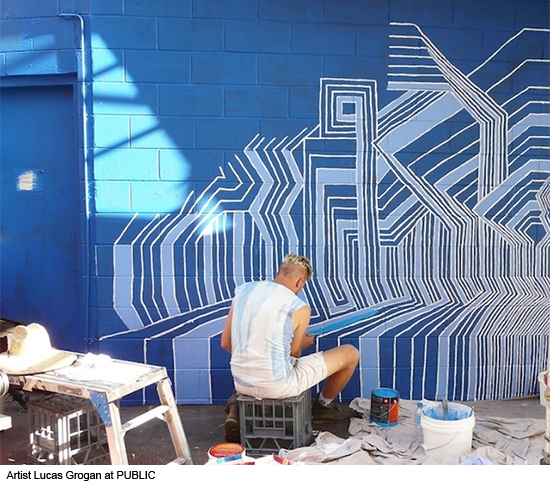 Perth has embraced this unique art form and transformed it into a cultural festival for local and international artists with the recent “PUBLIC: Art in the City” event! 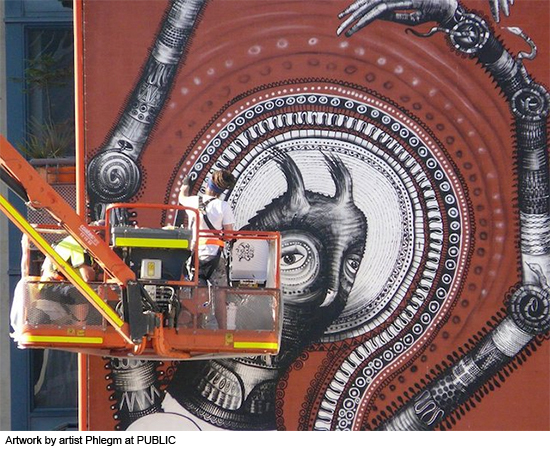 Inviting over 45 artists from all over the world, including big international names like Phlegm and Pixel Pancho, over 30 walls across the city were commissioned by non-profit organization FORM alongside local council initiatives. 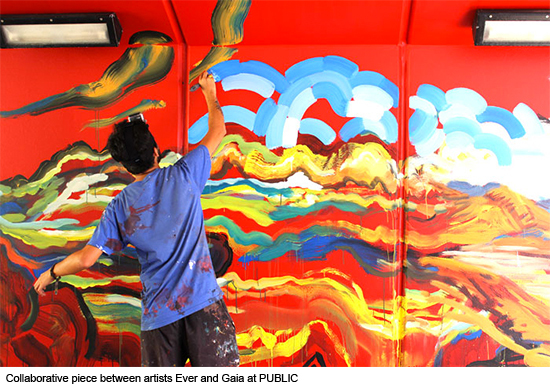 The event was held over the course of nine days days from April 5th to April 13th, and created a wide variety of artwork across the city. 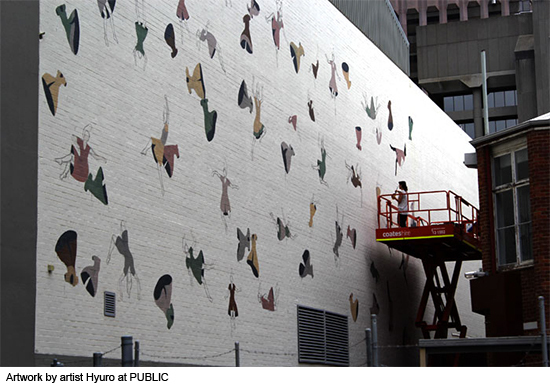 These pieces have shown up in unexpected places around Perth, including across high-rise buildings, car parks, and even the interior of a bank! 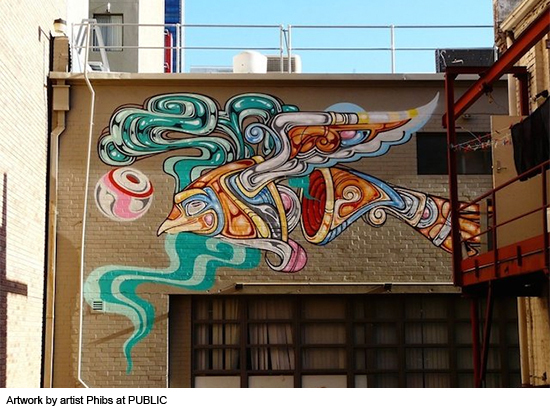 Several of these pieces were collaborative works between several artists, and have been embraced by the community at large as a genuine art form rather than a public nuisance. With such awesome pieces coming from the event, Perth is steadily establishing itself as one of the big names in the international modern art scene!